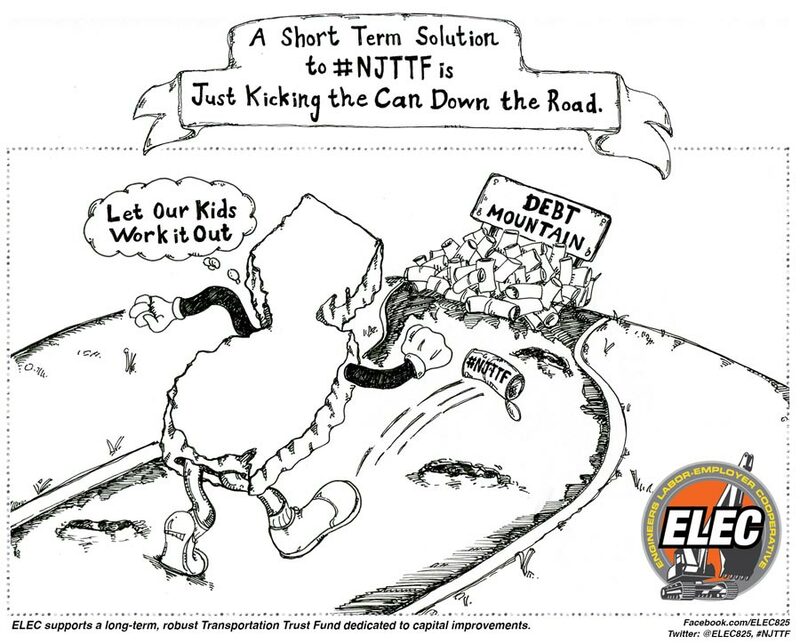 If a picture is worth a thousand words, this great editorial cartoon by Star Ledger cartoonist Drew Sheneman is worth at least 10,000, because in a single frame Sheneman captures the disconnect between wanting better roads but not being willing to pay for them. 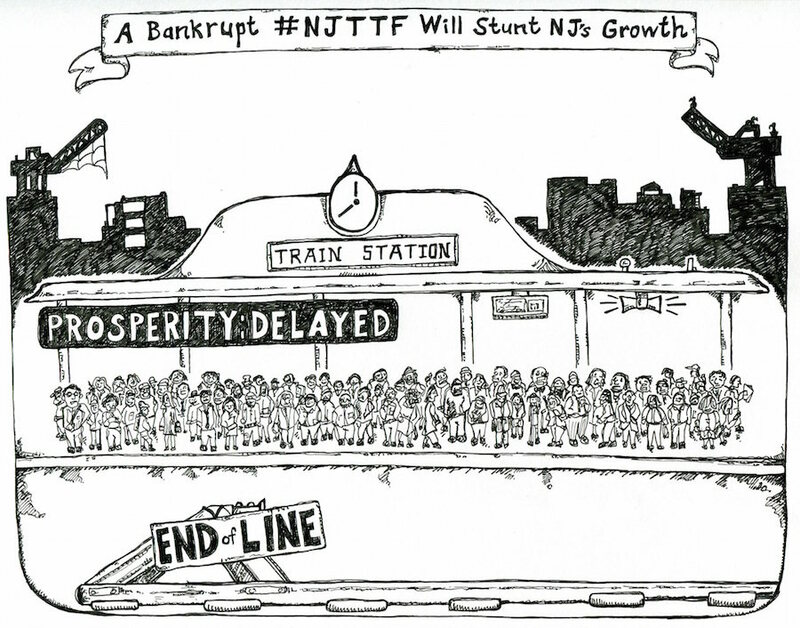 While we understand the general frustration with taxes (after all, we live in New Jersey too) what is often overlooked is that much of the anger is aimed at property taxes, not the gas tax, which is the second lowest gas tax in the country. A large percentage of your property tax goes to pay for schools. Postpone or cancel infrastructure projects, which will let the roads deteriorate further. Engineers know that the longer you let a road decay the more expensive it will cost to fix. Pay for infrastructure projects by raising property taxes. Which brings us right back to where we started. Neither option is good. 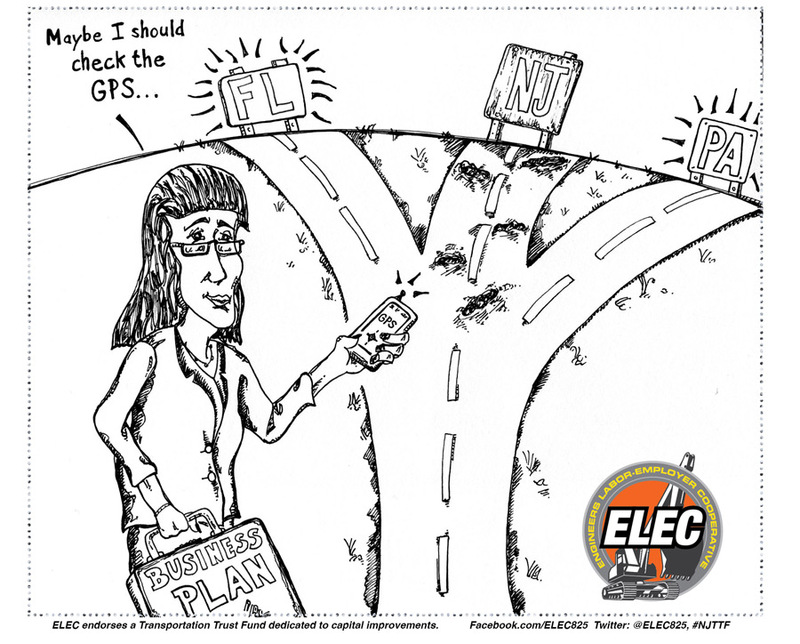 But an even worse option is what Sheneman depicts. 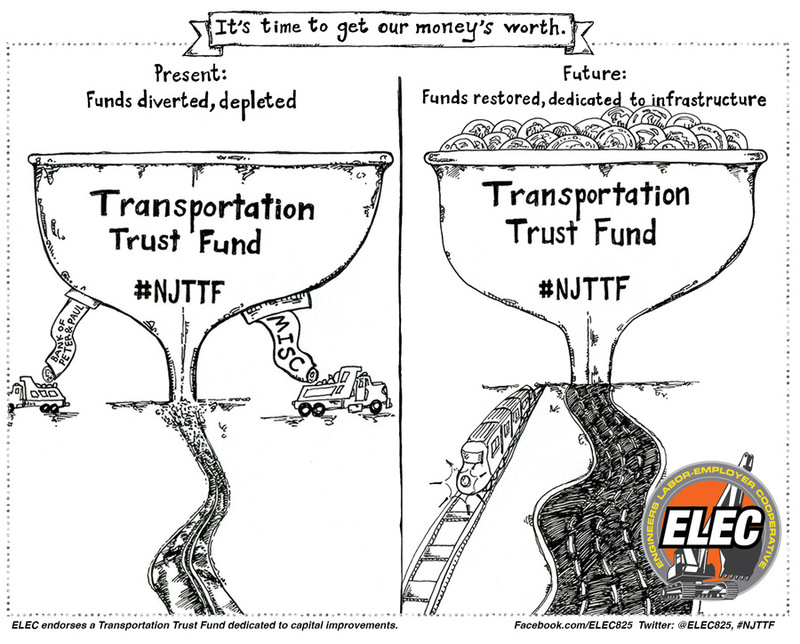 ELEC advocates for a funded Transportation Trust Fund dedicated to capital improvements.